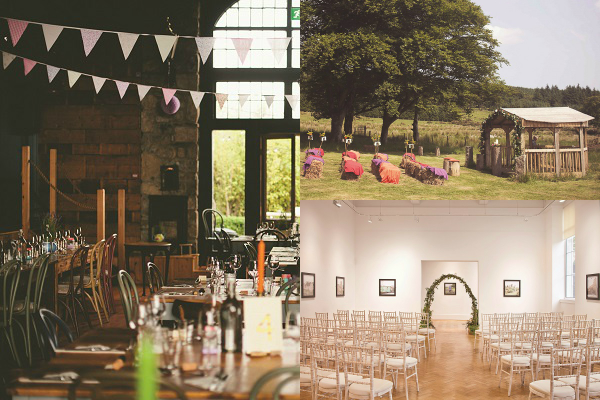 We’ve brought you a list of the top all in one Irish wedding venues for those wanting to have their entire day under one roof! Is there a more pleasant thought than being able to sit back, relax and enjoy your entire wedding day in the one incredible venue? Ceremony, reception, photographs –the whole shebang? If this sounds like your idea of wedding planning perfection, check out these enchanting all-in-one wedding venues with an alternative edge. 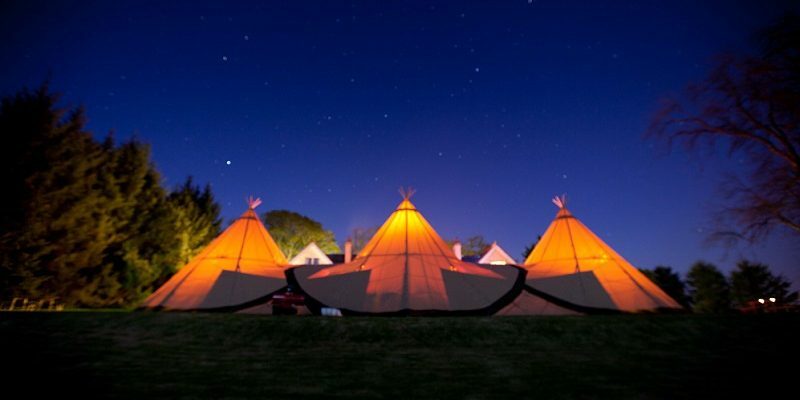 For those who dream of something different, Mount Druid in Westmeath hosts boutique wedding receptions and ceremonies of all kinds on its quaint and quirky grounds. 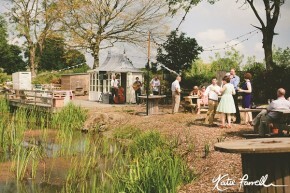 Ceremony: Ceremonies can be carried out in the unconsecrated ‘Chapel’, a gathering space nestled among the trees on the site. The ‘Tin Chapel’ is perfect for a simple blessing. Castletown Geoghegans Catholic Church is just across the road from Mount Druid, so you can have your religious ceremony at the church before strolling over to the venue for your wedding reception festivities. 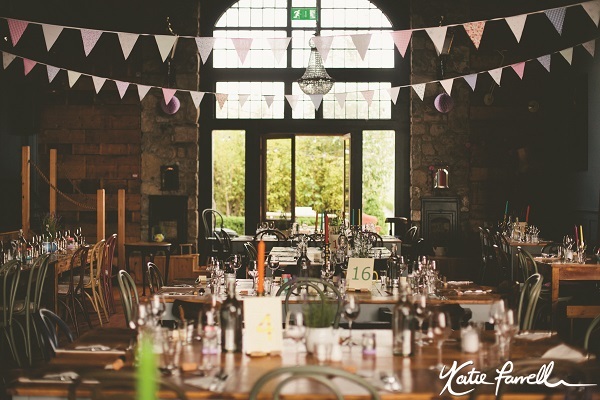 Reception: The converted ‘Barn’ is a boutique function room with a difference – decorated in a gorgeous combination of shabby chic with antique and restored furniture, it can hold up to 200 guests. An outdoor BBQ area and fireplace is also located at the rear within the walled garden. Photographs: Mount Druid is an exquisite parkland within 100 acres, sprinkled with over 200,000 broad leaf trees and with its very own lake and boat house, so there is no shortage of wondrous spots to form the backdrop of your wedding photos. Hire of Barn, BBQ area, walled garden and lake house for wedding day is €2000. 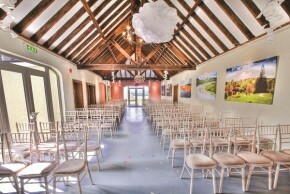 Hire of the Chapel for ceremonies is €300. Menu packages start at €35 per person. 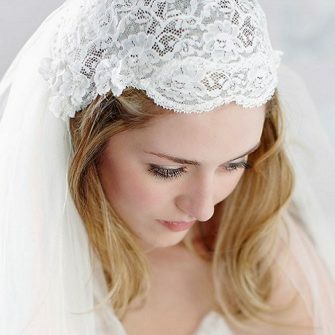 Tel: (087) 987 5277 or visit Alternativeweddings.ie. 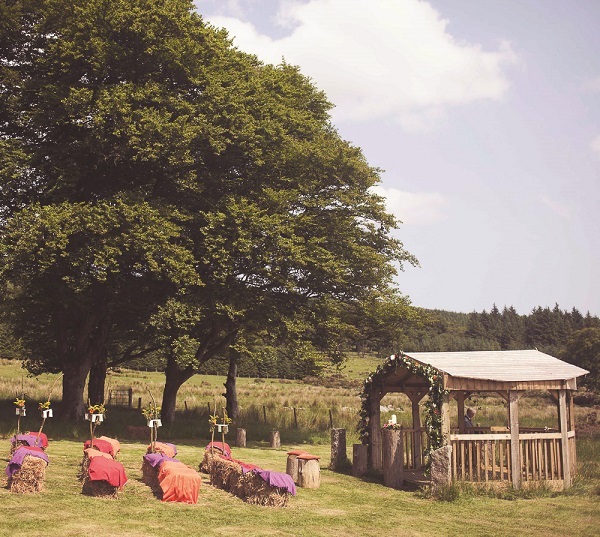 Kippure Estate is a countryside location set amidst the serene and mystical Wicklow Mountains. 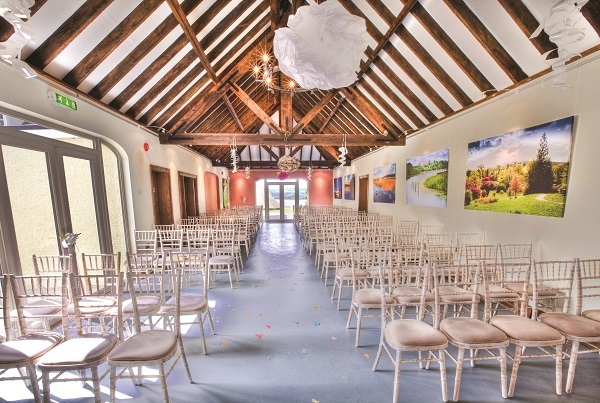 Ceremony: For civil ceremonies, brides and grooms have the choice of three rooms; The Cransillagh room for larger weddings, the Belfry and the Long Barn for more intimate ceremonies. Or, for something really different, couples can opt for an outdoor blessing at the Celtic stone circle. Reception: As well as the three rooms on offer, you can also hire a marquee to hold your wedding reception. 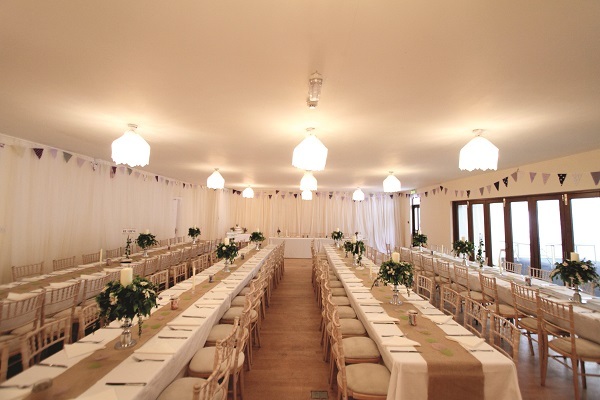 For larger weddings, there are two dedicated and specially prepared areas (landscaped and connected to water and an electricity supply) within the estate, where a marquee can be erected. Photographs: The River Liffey forms the natural border between the estate and the Wicklow Mountains National Park, offering superlative photographic opportunities. Privately set in 240 acres, this secluded location is a place of tranquil and natural beauty. For more information and prices tel: 01458 2889 or visit Kippure.com. 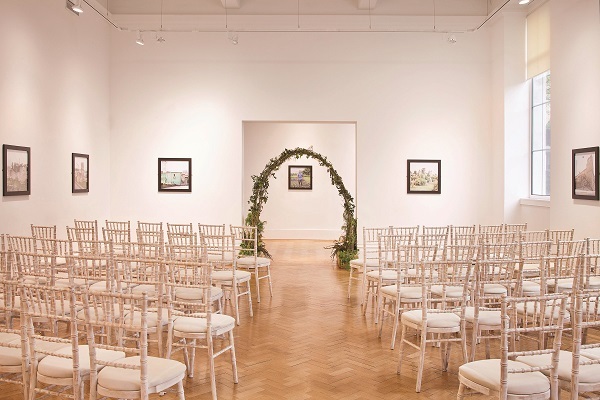 How would you like to celebrate your wedding day surrounded by an exquisite collection of art, history and natural science? 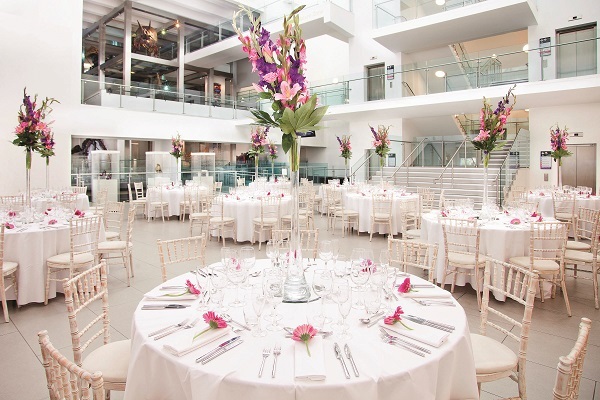 Situated in Belfast’s Botanic Gardens in the heart of the city, the Ulster Museum is the perfect location for a trendsetting occasion. Ceremony: The Belfast Room can hold up to 100 guests and provides an intimate setting for civil and religious ceremonies. 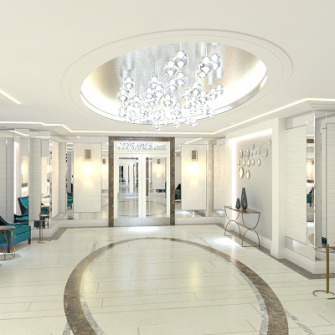 With its own private entrance hall, the bride can arrive in style before walking down the aisle. Reception: The venue’s Atrium is surrounded by some of the finest pieces from the museum’s national collection and is a beautiful space for wedding receptions. 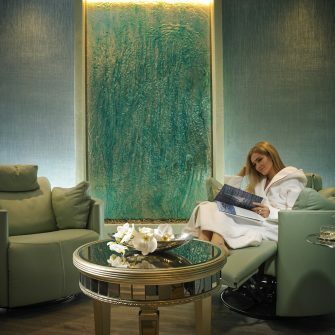 Its white colour palette is a blank canvas to build on if you want to add colour and detail to your day. Photographs:Photos can take place throughout the Ulster Museum except in some art, galleries where the art is within copyright, and also in the city’s famously picturesque Botanic Gardens. For more information, tel: +44(0)28 9039 5108 or visit Nmni.com/um. Rossahilly House, overlooking a private bay on Lower Lough Erne, is one of Northern Ireland’s most beautiful private wedding venues. 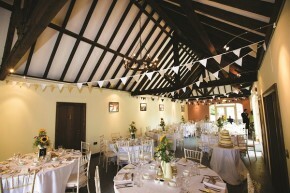 Ceremony: There is plenty of choice when it comes to selecting where to have your wedding ceremony. You can either opt for the converted Barn, the grand Beckett Room, or the gardens looking onto the islands of the Lower Lough. Reception: Couples can enjoy a reception in the comfortable and cosy converted barn, or for larger numbers, within a luxury marquee with views over the water’s edge. Photographs: The Rossahilly House Barn, emblazoned with wrought iron chandeliers, exposed beams and of course, stunning lakeside views, provides an incredible setting for photographs. Prices and more information available upon request. Tel: +44(0)28 6632 0976 or visit Rossahillyhouse.com.